Enjoy crystal clear footage with this Super HD four camera CCTV kit by Swann with 5 megapixel recording (2.4 x clearer than HD 1080p) and True Detect thermal-sensing cameras. Hybrid DVR with 1TB capacity hard drive. Super HD 5 Megapixel recording and playback. 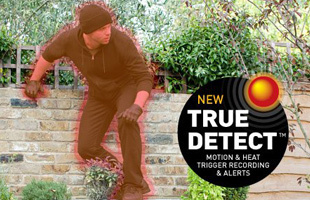 True Detect heat and motion detection. Works with Google Assistant (not included). Includes 4 x PRO-5MPMSB heat sensing cameras. Motion detection - only record what you want to view. Multi channel - view camera feeds simultaneously. IP66 rated cameras can be used indoors or outdoors. Enhanced infrared LED night vision up to 30m. 4 channel system for 4 cameras. The Swann DVR-4980 4 Channel 5 Megapixel - 4 Camera True Detect CCTV Kit with multi channel playback includes four bullet weather resistant cameras rated to IP66 with enhanced infrared LED night vision providing a range of up to 30m. The system also includes a 1TB hard drive and has four channels. The PRO-5MPMSB cameras can be set to record continuously, at a set time or only when motion or heat is detected, providing more reliable notifications and recordings and making it much easier to view important footage, while at the same saving on hard disk space. The Swann DVR-4980 provides crystal clear super HD 5 megapixel resolution recording and playback via your TV, SmartPhone or Tablet using the SwannView Link App* (available for iOS and Android). Swann is a global leader in security monitoring, consumer electronics and security-centric solutions for the smart homes and businesses of today and tomorrow. Home and business needs, and technology, continue to evolve but Swann's commitment is to always deliver security made smarter. 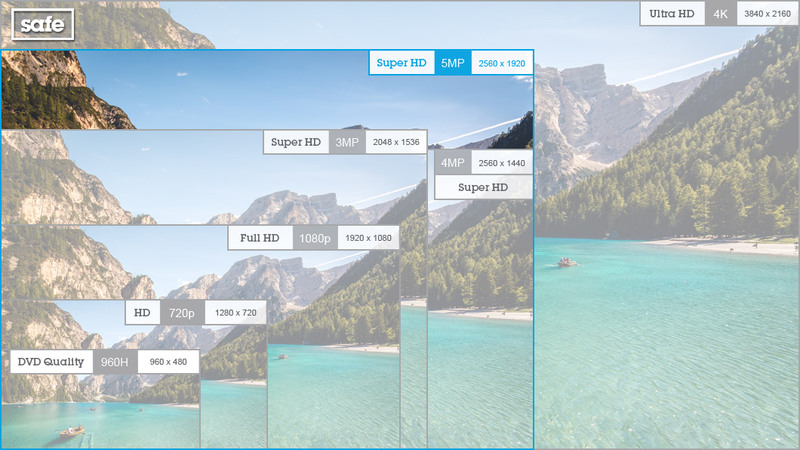 Smart Search lets you select a specific area of the image to search for movement within the recordings. Thermal cameras, with Swann's True Detect PIR thermal sensing technology, reliably detects heat-generating moving objects, such as a person, car or large pets and eliminates false triggers due to moving trees or rain. Only recording what you want to view reduces playback time and saves hard drive space. 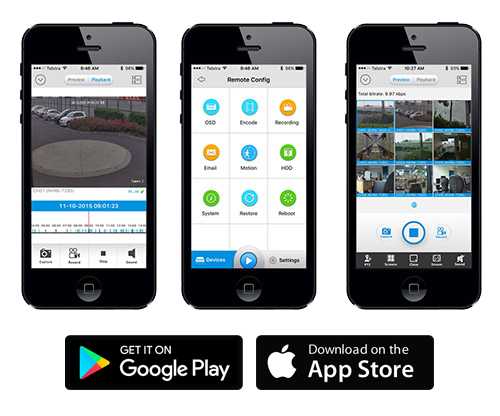 In addition to viewing from your TV it is easy to view recorded and real time footage from your SmartPhone or Tablet using the SwannView Link App* available for iOS and Android. Install is quick and easy - install the app, scan the QR code sticker on your CCTV system & start viewing. * For remote viewing via SmartPhone this CCTV system requires a broadband internet connection with a router that includes one free wired network port. SmartPhone must be iOS 6.0 and above or Android 4.0 and above. 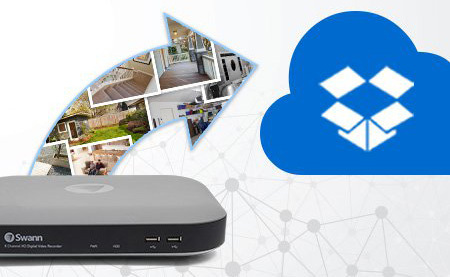 Upload still images to your Dropbox account, allowing you to access snapshots from your security cameras online - even if your security system is stolen. 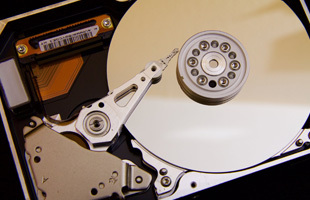 The 1TB hard drive is chosen especially for continuously recording months worth of video. By using a USB memory stick or external hard drive you can backup recorded footage from the Hybrid DVR and transfer to other devices or pass on to others should the need arise. Use our Recording Time Calculator to determine how many days storage you can expect from this 4 camera, 1TB hard drive, 5MP CCTV system. If using motion detection we generally advise setting the most commonly used camera to 4 hours. We have set all other cameras to 2 hours as an estimate, but you can change this below to suit your needs. * Based on using the default settings; system will begin to overwrite existing footage once storage is full.